OEM rubber bushings eventually wear out and cause drivetrain deflection. This puts extra stress on the driveshaft and half axles. 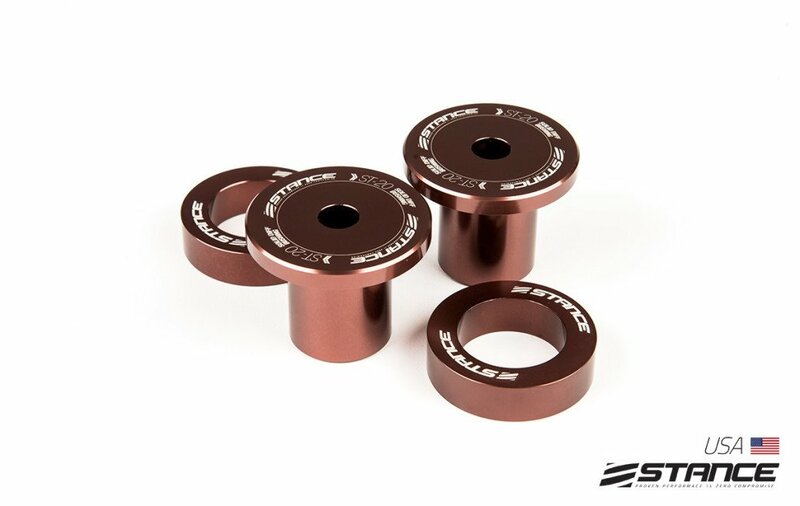 Stance solid aluminum bushings replace the soft rubber bushings in the S14 rear differential and eliminates any deflection allowing more power to be transferred to the ground.